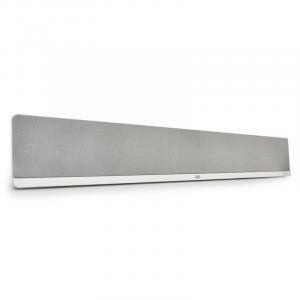 Sound Bars - take advantage of all modern audio has to offer! 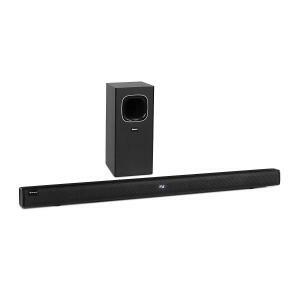 A 2.1 or 5.1 sound bar system is a great way to upgrade your home cinema without the bulk and setup of a six-speaker system. 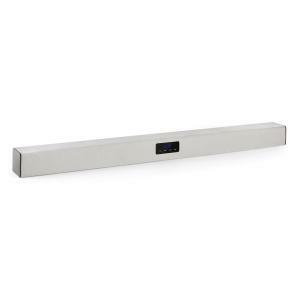 Soundbar speakers can include one compact unit that is wall mounted under your flat screen TV. 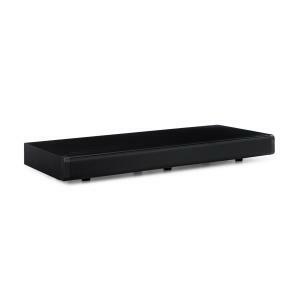 Alternatively, another common combination is to also include an active wireless subwoofer to give the “.1” part of the sound, and give your bass that extra oomph! 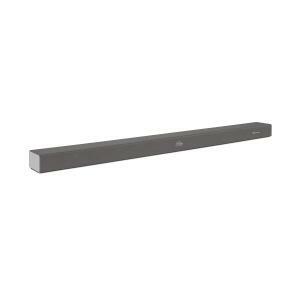 TV sound bar designs first came out in the mid-2000’s and have since taken off as a compact alternative to traditional surround sound speakers. 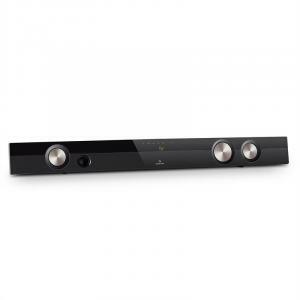 Speaker bar designs can channel both analogue (RCA connections) and digital (HDMI) connections, depending on the type of equipment you’re connecting it with. Some sound bars also feature extras like a radio or USB input to play MP3’s, making it like a stereo system in its own right. Shop around to find the features that you are looking for. 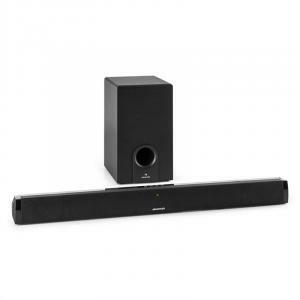 Create a surround sound effect with a single sound bar enclosure. Soundbar technology is more affordable than ever, so there’s no excuse not to get one. Along with watching TV shows and movies, they make a great addition to you game console or PC to bring video games to life! They look great mounted alongside a TV or monitor that has been mounted with a TV wall mount. Cut the clutter and make your entertainment centre the star that it is. A cheap sound bar doesn’t mean you need to sacrifice any quality in the process. 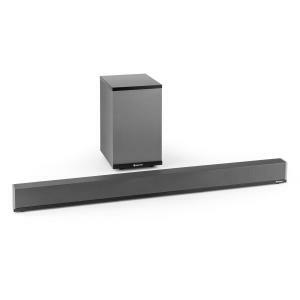 Even though the technology has only existed for less than a decade, the proliferation of off-brands onto the market have driven down the price of sound bar speakers. For the consumer, that means excellent sound and space-saving equipment at prices that everyone can afford. Subscribe to our newsletter now and secure your voucher for £ 5 Exciting voucher promotions and attractive special offers – exclusive to newsletter subscribers.